NASA has chosen SpaceX and Boeing to continue under their Commercial Crew Program. NASA astronauts should be able to hitch a ride to space aboard space taxis built by private two companies in the next three years, and reactions are strong. Officials with the space agency announced Tuesday (Sept. 16) that the commercial spaceflight companies Boeing and SpaceX have been awarded $4.2 billion and $2.6 billion respectively to fly crewed missions to the International Space Station by 2017. 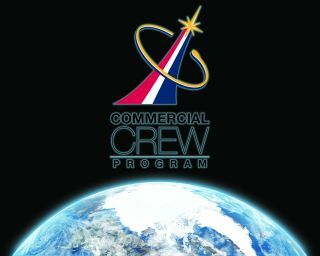 The commercial crew contracts are designed to end NASA's reliance on Russia's Soyuz space capsules to deliver crewmembers to the station, and return crewed launches to the United States. With this award, we are one major step closer to restoring our nation’s ability to launch U.S. astronauts to the ISS from American soil. NASA’s Commercial Crew Program is developing safe, reliable transportation to low-Earth orbit through the use of innovative contracting mechanisms. NASA’s selection of two companies demonstrates its prudent commitment to both competition and operational redundancy. With these commercial companies developing transportation for astronauts to and from LEO, NASA can focus more of its resources on deep space exploration. The Commercial Crew Program is the quickest and most cost-effective way to get our astronauts flying again in U.S. vehicles. However, the beauty of the commercial space industry is in its diversity. While these companies work to restore crewed LEO transportation capabilities, other companies are working to grow those and other markets in space. CSF congratulates NASA on the awards and we look forward to supporting the next steps in the new space era. I congratulate Boeing and SpaceX on their achievements in the Commercial Crew Program. Both companies and the thousands of people they employ have a crucial task before them as they work to further U.S. space exploration. They also have a responsibility to the U.S. taxpayers who are making considerable contributions to the development of these commercial space capabilities. “As Chairman of the House Science, Space, and Technology Committee, I look forward to the time when we once again launch American astronauts on American rockets from American soil. The days of paying Russians $70 million per astronaut for access to the International Space Station must come to an end as soon as possible. I look forward to working with these companies and NASA, to end our reliance on foreign carriers by ensuring safe, reliable, timely, and cost effective transportation to the International Space Station. This is a good day for our nation's space program and for all Americans. I want to congratulate Boeing and SpaceX on receiving these awards. With the Shuttle fleet retired, NASA has focused its human space flight priorities on the effective use of the ISS; the development of a beyond low Earth orbit exploration capability using the System Launch System and Orion crew capsule; and public/private partnerships that, if successful, will eventually allow NASA to buy services — not vehicles — to transport its astronauts to the ISS. I am encouraged by today’s announcement as it will allow NASA, Boeing, and SpaceX to complete development, testing and certification of the needed capability. That capability must be proven safe according to NASA requirements and it must be cost-effective given the significant investment taxpayers are being asked to make. These partnerships are important and I look forward to monitoring their development because we need safe and reliable crew transport to allow the full and productive utilization of the ISS. I commend NASA, its employees, and supporting contractors on reaching this important milestone, and I urge the agency to heed the thrust of the House-passed NASA Authorization Act by keeping safety as the highest priority in executing this contract and in implementing future Commercial Crew Program endeavors. I offer my congratulations to Boeing and SpaceX and wish them success in carrying out this phase of the Commercial Crew Program. Through its thirty years of service, the Space Shuttle has enabled NASA to launch and refurbish the Hubble Space Telescope as well as build and resupply the ISS. After the flight of STS-135 in July 2011, the Space Shuttle fleet was formally retired. My hope is that NASA’s announcement means America will resume our role of transporting astronauts to the ISS in a safe and reliable manner. This will enable NASA to focus on human exploration beyond low Earth orbit and to work toward achieving the long-term goal of a human mission to Mars. We must continue to dedicate ourselves to our Nation’s space program. The next generation of Americans is counting on us.